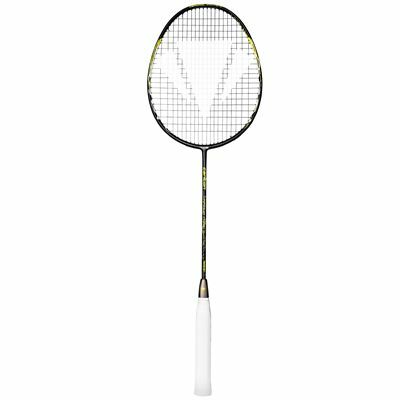 The Carlton Vapour Trail S-Lite badminton racket is a lightweight model filled with latest technologies. It uses the Aerofoil Grommets technology reducing drag and making the frame more aerodynamic, while the Pro V12 grommets improve the movement of strings and offer better power. Moreover, the TCS Torsional Control System in the frame makes it more stable, and the Xtreme Tension Frame design will accommodate up to 11% higher string tension. The flexible and head light racquet has been designed from premium Japanese Hi Modulus carbon, which boasts great response and stability. Also, this model is lightweight and slightly shorter than regular ensuring better handling. It is supplied strung with an X-elerate X67 string and includes a full protective cover. 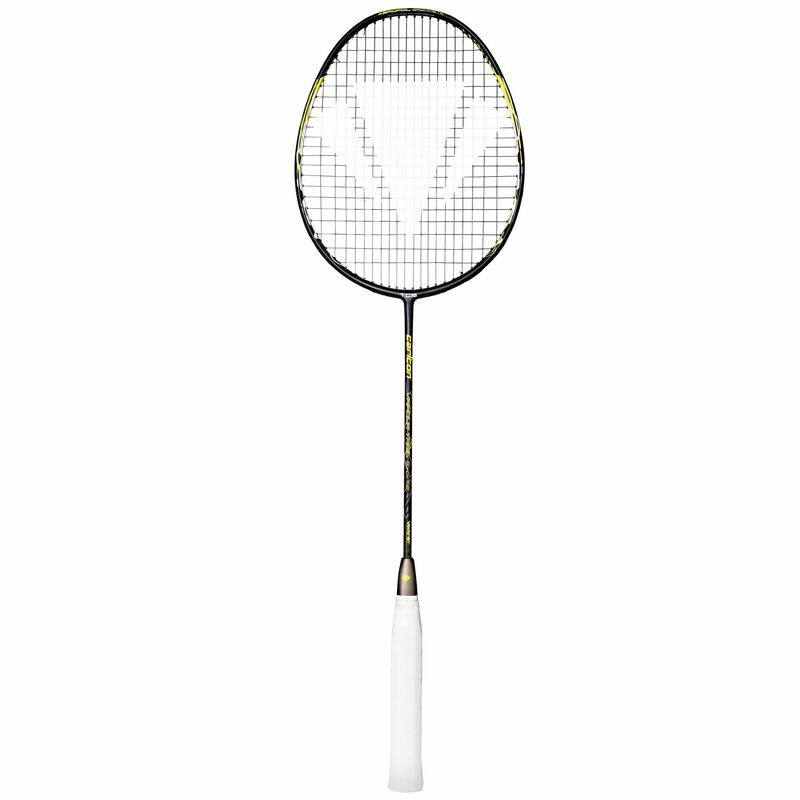 for submitting product review about Carlton Vapour Trail S-Lite Badminton Racket.